Lasse from Denmark took in the snow covered contours of Mt. Rushmore on a vacation with his host family this January. 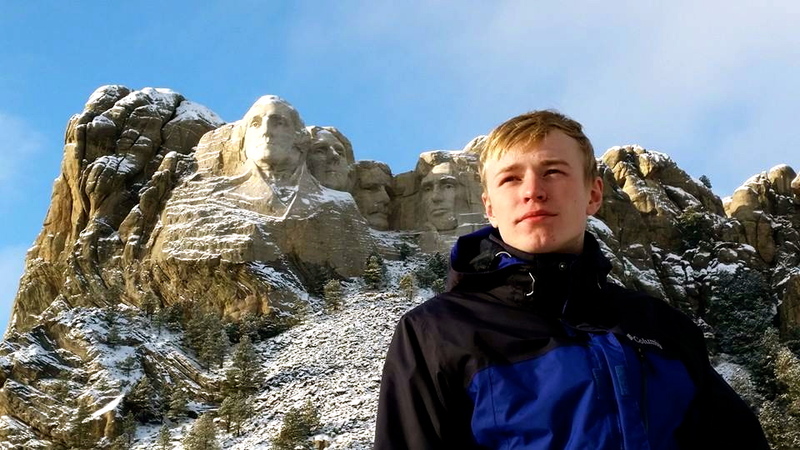 After six months in the US, Lasse is starting to fit in with some of America’s great founding fathers! Tags: Denmark, Exchange Student, featured, minnesota. Bookmark the permalink.